Lexington Park New Home development by Lennar Homes is located on the Northside, just beyond the I-95 North Jacksonville International Airport (JIA) exit to Pecan Park Road. Being close to I-95 and a quick ride to I-295, Lexington Park living by Lennar makes for an easy commute to Downtown, Jacksonville’s Westside and Orange Park. Residents will take full advantage of their proximity to the River City Marketplace and its endless shopping, dining and entertainment offerings. Lexington Park models are priced from the $170’s to the $230’s, and Lennar offers an amazing 11 different floor plans ranging in size from 1,689 to 3,007 square feet, so the configurations, sizes and price points are virtually endless. 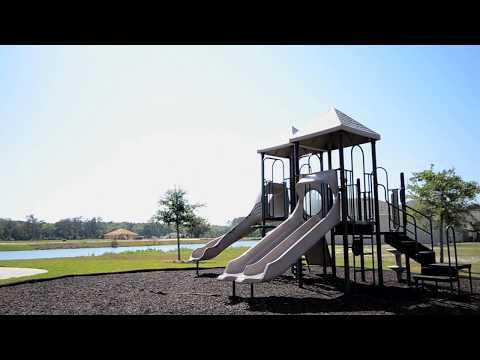 Get FREE full access to this video tour of Lexington Park and all of our New Home Video Tours in the Jacksonville, St. Johns County area! I'd Like to Request a Showing of Lexington Park in Northside Thank You!